Beanie Babies have been popular with collectors since late 1993 when they were first introduced by Ty. With so much publicity about Beanie Babies, collectors sometimes overlook other plush collectibles Ty creates and produces. Ty Collector provides reference information about Beanie Babies plus all of the other active and retired Ty product lines. Copyright ©2009-2019 by Leon & Sondra Schlossberg. All rights reserved. Site graphics and content may not be copied or otherwise used without prior written consent of the copyright holder(s). Ty Inc.® is not affiliated with this site. The Ty logo, product names & poems are copyrighted or trademarked by Ty Inc. The unauthorized reproduction or distribution of a copyrighted work is illegal. 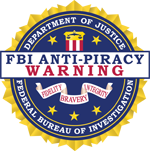 Criminal copyright infringement, including infringement without monetary gain, is investigated by the FBI and is punishable by fines and federal imprisonment.